We present a case of lamotrigine induced hypersensitivity reaction which was way more severe than the regular drug induced skin rash. The cutaneous findings and abnormal hematologic results bring up a variety of issues associated with lamotrigine. Albeit a relatively low risk of SJS, lamotrigine has been historically associated with skin reactions after recently starting the medication -- especially with rapid titration or concomitant use of valproate. The differentiation between SJS and AHS has been the subject of debate for the past few years. Recent studies have suggested that the two entities are part of a spectrum based on the extent of end organ effect, with AHS considered a more severe syndrome associated with hepatitis or acute renal failure. Yet, SJS may occur as a dermatologic manifestation within AHS. This case brings up numerous questions about the importance of classifying the two syndromes and the overlap presentations between the two disease entities. Lastly, this case brings up the possibility of drug induced lupus as a result of lamotrigine. Although extremely rare, we report possible drug induced lupus, as demonstrated by the presence of anticardiolipin antibodies after initiation of lamotrigine. The case of Patient X is important for medical literature and physicians in general as we present the many possible side effects and hypersensitivity reactions that a medication may cause. Patient X is a 40-year-old Caucasian woman who presented with fever up to 103.0F, myalgia, and headaches for the past four days. She has a history of seizures that have been treated for many years with sodium valproate 50 mg twice a day. However due to breakthrough seizures, she was started on lamotrigine a week prior. As per the patient, she was started on 25 mg of lamotrigine every other day. Three days after the start of her flu like symptoms, Patient X developed a fine pruritic morbilliform rash over her face, chest, arms and legs, as well as conjunctival injection an redness. Labs revealed elevated PT/PTT/INR with an anticardiolipin IgG level of 112.0, without any signs of bleeding. AST was slightly elevated during admission ranging in the 70s, with normal ALT. D-Dimer was significantly elevated >8000, with an elevated CRP level (107.0). Hematology studies revealed atypical lymphocytes on peripheral smear. Other than thrombocytopenia (which was chronic presumed to be side effect of sodium valproate), all other hematologic studies were unremarkable. Based on the Naranjo algorithm, the patient had a “probable” drug adverse reaction. Lamotrigine was immediately stopped for fear of the development of Steven Johnson Syndrome. Antibiotics were started for possible sepsis. The case provides an interesting array of differentials. Infection however was less likely on the differential after blood cultures were revealed to be negative and her lack of leukocytosis. Antibiotics were subsequently stopped after repeated negative culture results. Her neurologic and cognitive exam was normal throughout her admission. Thus, the differential narrowed to a drug reaction, particularly in regards to the lamotrigine. Given her constellation of “allergic” type symptoms, and recent use of introduction of lamotrigine, the most logical diagnosis appeared to be related to side effect of lamotrigine including early stages of Steven Johnson’s/TEN, anticonvulsant hypersensitivity, and lastly, coagulopathy abnormalities with positive anticardiolipin antibody. All her symptoms resolved rapidly after discontinuation of lamotrigine with improvement of all her lab findings. One of the most common side effects associated with lamotrigine is rash occurring in about 10% of the population Lang et al. . The annual incidence of Steven-Johnsons/TEN is reported to be between 1–6 and 0.4–1.2 per million people, respectively with mortality ranging from 1-5, and 30% Yang et al. . Steven Johnson is a result of an immune complex mediated hypersensitivity reaction, classically involving the skin and mucous membranes. Anticonvulsants in general may cause a variety of cutaneous symptoms varying from maculopapular eruptions to Steven Johnsons/TEN Baba et al. . SJS may also include a prodromal phase including cough, headache, malaise, and arthralgia prior to the eruption of skin lesions. There may also be ocular involvement as well such as itching, blepharospasm, dry eye, and conjunctival injection. Lesions tend to occur on the palms, soles, dorsum of the hands and extensor surfaces Parveen et al. . If SJS affects more than 30% of the body, the syndrome is called Toxic Epidermal Necrolysis. In order to avoid SJS, it is essential to avoid starting lamictal at a higher dose and rapid dose escalation. For patients who are not taking valproate, lamotrigine should be initiated at a dose of 25 mg once daily for next two weeks and increased thereafter by 25 mg every other week until a maintenance dose of 100-200 mg daily (Kanner 2000) . Although there are few reports of SJS as a result of lamotrigine monotherapy, SJS has been reported from concomitant use of Valproic Acid and Lamotrigine [6-8]. Thus, if lamotrigine is used concurrently with valproate, it is imperative to titrate the dose of lamotrigine even more slowly (i.e. 25 mg every other day for the first two weeks). However, a prior case report by Yalçin & Karaduman demonstrated the development of SJS, even with slow titration. In this case, a female patient with a history of schizoaffective disorder was started on lamotrigine 25 mg/d which was gradually increased to 150 mg/d in 3 weeks. After a week of the heightened dose, the patient developed erythematous papules and bullae, with lesions in oral and genital mucosa as well as severe conjunctivitis. One possible explanation for the patient’s symptoms is related to the relationship between SJS and coadministration of valproate and lamotrigine. Valproate inhibits the glucuronidation of lamotrigine, thereby increasing the half-life by more than double and increasing the risk of rash due to the increase in lamotrigine blood levels. Referring back to Patient X, it is possible given her long term use of valproate prior to initiating lamictal put her at higher risk to develop SJS (Yalçin & Karaduman 2000) . In an extension of SJS, Anticonsulvant Hypersensitivity Syndrome is a risk associated with all antiepileptics, estimated to occur in one every 1000-10,000 exposures (Schweitzer 2011) . First described in 1950, anticonvulsant hypersensitivity is a rare reaction as a result of aromatic anticonvulsants, usually phenytoin and carbamazepine, but may occur in rare cases to lamotrigine. Similar to patient X’s case, a hypersensitivity reaction normally occurs within the first 8-10 weeks of beginning the anticonvulsant. The classic triad of AHS includes fever, rash and internal organ involvement. The rash associated with AHS may come in different forms, varying from morbilliform, urticaria, angioedema, and maculopapular eruptions Shah et al. . Transitory elevation in LFTs is frequently implicated as a result of systemic involvement, but other organs such as kidney, CNS, or lungs may also be involved Blondin et al. . Although Patient X had only slightly elevated AST, there has been prior case reports of carbamazepine induced hypersensitivity associated with mild transaminitis as well. If not treated, the most common cause of death consists of liver or renal failure. Brown, S. C., & Dauterive discuss a case report on AHS, in which a patient was noted to also have mild thrombocytopenia, mild increase in LFTs as well as a confluent dusky erythematous rash appearing over the back, arms, feet and face with edematous mucosa, similar to the clinical and laboratory presentation of Patient X. Carbamazepine was immediately discontinued with resolution of symptoms within two weeks. The pathophysiology behind Hypersensitivity reactions is not completely known. However, anticonvulsants are metabolized by P450 enzymes to form intermediate metabolites such as arene oxides. Toxic metabolites may build up as a result of defects in metabolism which in turn may cause cell necrosis, apoptosis, or secondary immune responses. Early recognition of the syndrome is essential for future management as cross reactivity to all aromatic anticonvulsants and tricyclic antidepressants may be as high as 75%. It is also possible that hypersensitivity reactions may be a result of genetic factors, such as HLA-A*3101 which has been associated with carbamazepine induced drug reactions (Brown & Dauterive) . Another perplexing aspect of this case is the presence of anticardiolipin antibody. Although we may never know the cause of the PTT/PT/INR prolongation in addition to the positive cardiolipin antibody, there are two possibilities to explain the abnormality: one, the patient has lupus that has gone undiagnosed, or more likely, the patient was already predisposed to be sensitive to lamotrigine. Given the close correlation of symptoms soon after starting lamictal, it is possible that the initiation of the drug triggered a “dose response” effect such as drug induced lupus or lupus itself. Based on the medical literature, most cases of lupus anticoagulant and PT/PTT prolongation are associated with the pediatric population. One case study by Antoni et al. found an association between co-administration of valproate and lamotrigine as well as prolonged PTT in a 5 year old patient. Antoni et al. . Labs illustrated significantly prolonged PTT with positive Lupus Anticoagulant (LAC). The hypothesis at the time was that lamictal may have enhanced the immune response secondary to valproate. A similar case of lamotrigine induced PTT prolongation was documented later on in a six year old female Yeom et al. . Although cardiolipin antibody was negative, the patient developed a diffuse maculopapular rash after increasing the dose of lamotrigine. After discontinuing lamotrigine, PTT had normalized within two weeks. However, although anticardiolipin antibodies are part of the criteria for Antiphospholipid Syndrome we are unable to definitively conclude that Patient X had Antiphospholipid Syndrome, as a mixing study had not been done during the hospital stay and the follow up is unknown. Based on the revised Sapporo classification, Antiphospholipid Syndrome requires at least one clinical criterion related to either a vascular thrombosis or an adverse pregnancy outcome (which Patient X denied a prior history of either), as well as the presence of one or more specified antiphospholipid antibodies such as LAC, anticardiolipin, or Anti-beta-2 glycoprotein-I antibody of IgG and/or IgM isotype in serum or plasma on two or more occasions at least 12 weeks apart Miyakis et al. . In short, the case report of patient X illustrates the variety of hypersensitivity side effects lamotrigine may cause including simple skin rash, Steven Johnson Syndrome, toxic epidermal necrolysis (TEN), anticonvulsant hypersensitivity syndrome, and drug induced lupus. The clinical and lab presentations may easily be mistaken for sepsis and even disseminated intravascular coagulation (DIC). The consequences may be very serious if the cause is not considered and the offending agent lamotrigine not stopped timely. Thus, it is imperative to be vigilant for new onset rash and fever and the immediate discontinuation of the drug. Caution should be given especially for patients starting lamotrigine while already on valproate. Given the dose dependent effects, physicians should follow the rule of cautious slow titration. Early recognition of lamotrigine hypersensitivity symptoms may reduce mortality and morbidity. Wang X, Xiong J, Xu W, Yu S, Huang X (2015) Risk of a lamotrigine-related skin rash: Current meta-analysis and post marketing cohort analysis. Seizure25: 52-61. 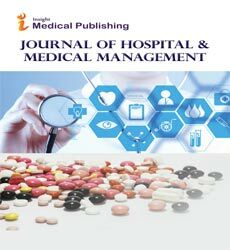 Yang M, Lee JY, Kim J, Kim G, Kim B (2016) Incidence of Stevens-Johnson Syndrome and Toxic Epidermal Necrolysis: A Nationwide Population-Based Study Using National Health Insurance Database in Korea. Plos One, Vol: 11. Baba M, Karakaş M, Aksungur V, Homan S, Yücel A (2003) The anticonvulsant hypersensitivity syndrome. J Eur Acad Dermatol Venereol 17: 399-401. Parveen S, Javed MA (2013) Stevens Johnson Syndrome associated with Lamotrigine. Pak J Med Sci 29: 1450–1452. Kanner AM, Frey M (2000) Adding valproate to lamotrigine: A study of their pharmacokinetic interaction. Neurology55: 588-591. Chang C, Shiah I, Yeh C, Wang T, Chang H (2006) Lamotrigine-associated anticonvulsant hypersensitivity syndrome in bipolar disorder. Prog Neuropsychopharmacol Biol Psychiatry 30: 741-744. Echaniz-Laguna A, Thiriaux A, Ruolt-Olivesi I, Marescaux C, Hirsch E (1999) Lupus Anticoagulant Induced by the Combination of Valproate and Lamotrigine. Epilepsia 40: 1661-1663. Mockenhaupt M, Messenheimer J, Tennis P, Schlingmann J (2005) Risk of Stevens-Johnson syndrome and toxic epidermal necrolysis in new users of antiepileptics. Neurology 64: 1134-1138. Yalçin B, Karaduman A (2000) Stevens-Johnson syndrome associated with concomitant use of lamotrigine and valproic acid. J Eur Acad Dermatol 43: 898-899. Schweitzer I (2011) Anticonvulsant hypersensitivity syndrome: A rare and serious complication. MJA194: 609-610. Shah R, Hemavathi K, Mehta M, Shah J, Khakhkhar T (2014) Anticonvulsant hypersensitivity syndrome associated with carbamazepine administration: Case series. Blondin NA, Zahedi S, Hale MS (2008) A Case of Lamotrigine-Associated Anticonvulsant-Hypersensitivity Syndrome. Prim Care Companion J Clin Psychiatry 10: 249-250. Brown SC, Dauterive RL (2017) Anticonvulsant Hypersensitivity Syndrome Secondary to Carbamazepine. Baylor University Medical Center Proceedings30: 94-96. Guberman AH, Besag FM, Brodie MJ, Dooley JM, Duchowny MS, et al. (1999) Lamotrigine-associated rash: Risk/benefit considerations in adults and children. Epilepsia 40: 985-91. Yeom JS, Park JS, Seo JH, Park ES, Lim JY (2011) APTT prolongation and skin eruption possibly associated with lamotrigine monotherapy in a paediatric patient. Epileptic Disord13: 452-455. Miyakis S, Lockshin MD, Atsumi T, Branch DW, Brey RL et al. (2006) International consensus statement on an update of the classification criteria for definite antiphospholipid syndrome (APS). J Thromb Haemost 4: 295-306.